An internet browser, also known as a web browser or simply a browser, is a software program that you use to view web pages on your computer. You can think of your browser as your gateway to the internet. If you want to enter online sweepstakes, for example, you must first open the giveaways' websites in your internet browser. The main purpose of an internet browser is to translate the code that computers use to create websites into the text, graphics, and other features of the web pages that we are all used to seeing today. The first web browser was called WorldWideWeb and later changed its name to Nexus. Created by Sir Tim Berners-Lee, it was released in 1990 and gave people a basic way to view web pages. But it was a long way from the immersive online experience we have today. Without browsers, the internet as we know it today would not be possible. Before the first popular graphical browser, Mosaic, was released in 1992, the internet was text-based, bland, and couldn't be used without technical know-how. This limited the number of people who had the ability and the interest to use the internet. The Mosaic browser helped make the internet ubiquitous. The graphical interface made navigating the web easy to understand and the ability to display graphics on websites made web pages more interesting. Best of all, people no longer needed to be programmers to get online. With more people spending more time online, companies were quick to follow. E-commerce, online sweepstakes, social media, and many other things we take for granted today would be impossible without internet browsers. Internet browsers have developed into powerful tools that let you safely and quickly access your favorite websites. Modern internet browsers have many helpful features. Tabbed browsing, for example, helps you open up many web pages in individual tabs, instead of needing a resource-intensive separate window for each page. This is very helpful if you want to enter sweepstakes faster. The ability to mute sound in individual tabs is another helpful feature that many modern browsers support. Which Internet Browsers Are Available Today? Each of these internet browsers has advantages and disadvantages. Read their websites, then try out the ones that appeal to you the most. Due to the way they are coded, some websites display better in one internet browser or another. For this reason, it's a good idea to have at least two browsers available on your computer, especially if you want to enter sweepstakes. If an entry form isn't displaying in your primary browser, it might work flawlessly on your secondary internet browser. Many internet browsers support plug-ins, which are helper programs that you can download to customize your browsing experience. Plug-ins can help you fill out forms automatically, check your grammar and spelling, mute unwanted sounds in your browser, send you reminders, and much more. Plug-ins can help you work or play online, but not every browser allows them. Firefox and Chrome each allow plug-ins, for example, but not all are available for each system. The best way to find out which browser is right for you is to download them and play around with them. Which extra features are important to you? Do websites load quickly and reliably? Is your browser using too many resources and slowing down other programs you're using? 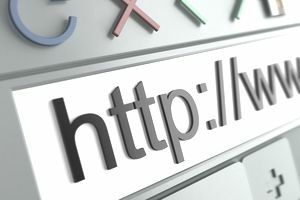 You type a website's URL into your browser's address bar; "http://www.thebalance.com" is an example of a URL. The browser locates and requests that page's information from a web server. The browser interprets that file and displays the page for you to read and interact with. And it does all of this in just a few seconds, usually. If you want a more detailed technical breakdown of how browsers work, check out Behind the Scenes of Modern Web Browsers by Tali Garsiel and Paul Irish on HTML5Rocks.com. The important thing to know is that different browsers have slightly different ways of working so that if you are having trouble getting pages to display or sweepstakes to load on one browser, it makes sense to try another. Having more than one browser installed on your computer is a good idea.